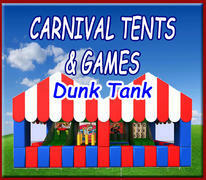 Bounce Houses, party tent rentals and more...Make your reservation online anytime 24 hours a day! 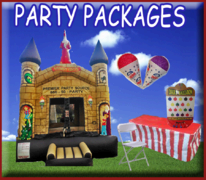 Welcome to Premier Party Source LLC! 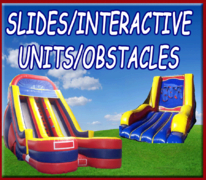 Having a backyard party? 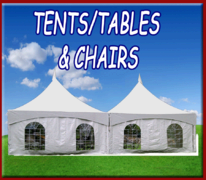 Our services include corporate events, school fundraisers, field days and of course your backyard barbeques, birthdays, Communions, Confirmations, Graduations, baby or bridal showers and holidays. 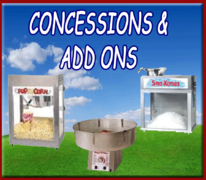 We have you covered from tents, tables and chairs to inflatable bounce houses, interactive inflatables, dry slides, water slides, dunk tanks, carnival games and fun food concessions including popcorn, cotton candy and snowcones! 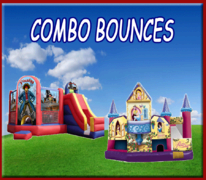 People often don't know what to calL them though: bounce house, moonwalks, jumper,s bouncers, bouncy houses or even a party inflatable thing. 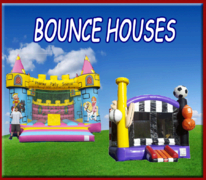 We call them fun and have a great selection! 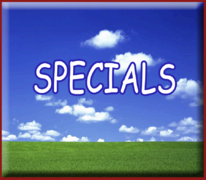 So whatever you call them...give us a call or reserve on-line and we promise you a great time!